Who doesn’t love odd robots from Japan? 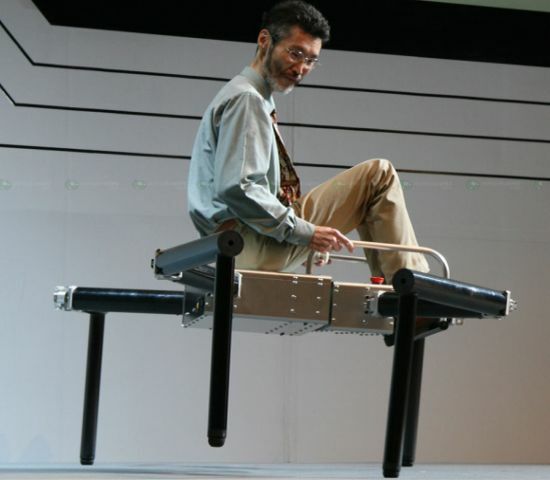 Here’s a 4-legged “spider” robot that was debuted at Robo Japan 2008. While I don’t see much practicality to this setup, you gotta admit, its different. It’s basically a table with legs. The concept may not seem new to you. 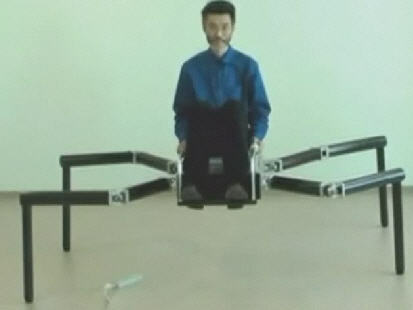 There have been countless movies, cartoons, and sci-fi TV shows that have used the idea of a insect-like walking robot. And come to think of it, I don’t think I have seen a robot that did it just like what you see in the movies. I wish I could find a video of this in action. It looks like a bumpy ride. This isn’t the only robot that I have found that moves this way. Although its certainly the biggest though I have seen. Hexabods are another alternative. They fit in the palm of your hand.offers a cool little robot that reminds me of a crab for some reason.